Elite, (symbol 1337) has been in the crypto world since 09/11/2015 and works without requiring a reserve bank or single administration. You cannot mine the decentralized digital coin, and as such, you can acquire 1337 coins with an exchange. The coin utlizes the proof of stake (pos) consensus, along with the X13 algorithm. 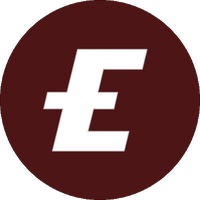 To keep up to date with Elite, they can be found on Facebook, Twitter, Telegram and Reddit. We don't have any exchanges listed for 1337 yet, check back soon! We don't have any wallets listed for 1337 yet, check back soon! We don't have any debit cards listed for 1337 (1337) yet, check back soon! We don't have any price charts listed for 1337 yet, check back soon!